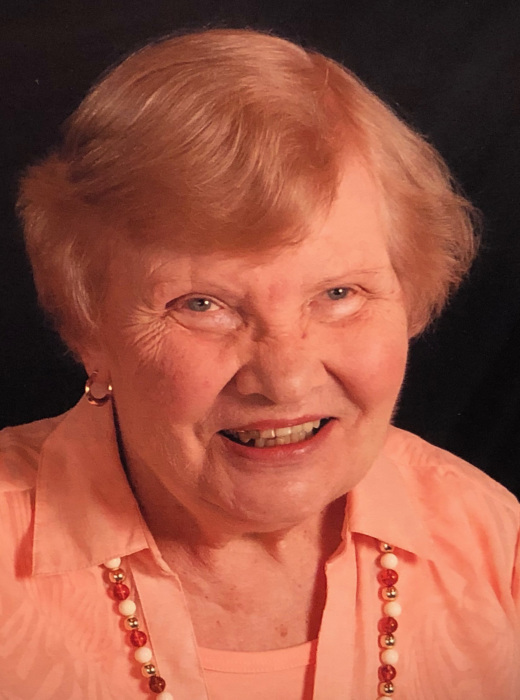 Eunice June (Langholz) Grube, 87, of Newton; formerly of Osage died on Friday, February 1, 2019, at Accura of Newton Healthcare West. A memorial service will be held at 1 p.m., Wednesday, February 13, at the First Lutheran Church in Newton. The family will greet friends after the service with a coffee time at the church. In lieu of flowers, memorials to the Osage Education Foundation, Newton First Lutheran Church, or ELCA-World Hunger may be left at the church the day of the service or at the Wallace Family Funeral Home and Crematory. Eunice, was born June 26, 1931 in Ladysmith, Wisconsin, to the Rev. John C. and Frances B. (Meske) Langholz. She graduated from high school in Loyal, Wisconsin, where she enjoyed cheerleading, playing the trombone, and working on the school newspaper. She went on to earn a BA in music education from Wartburg College in Waverly, Iowa. While singing in the Wartburg Choir, she met her future husband, Orin C. Grube. Orin and Sandy (as many of her friends and family called her) were married June 14, 1955, in Thornton, Iowa. While Orin finished medical school, Eunice taught in Cosgrove, Iowa. They later moved to Des Moines where they were blessed with a daughter, Jayne Elizabeth. The family lived briefly in Minneapolis, but when Orin passed away in September 1958 from Hodgkin’s Disease, Eunice moved to Osage to take a position teaching elementary music. She and Jayne made their home there and Eunice continued to teach for 36 years. She was well known amongst music educators for using the innovative teaching techniques of Zoltan Kodaly and Carl Orff. She was a master teacher and mentored many student teachers. Eunice will be remembered for her well-orchestrated elementary music programs, chorus concerts, and the annual 6th grade operetta. Faith and family were her priorities. She was active in her church, teaching Sunday school music, singing in the adult choir, attending Bible studies, and serving on the council and call committee. Travel adventures were often shared with her kids and grandkids, making for many treasured memories. She visited all 50 states and enjoyed a trip to Europe in 2000. She loved to cook and have family and friends gather around her table. She enjoyed being outdoors-walking, biking, and gardening. Eunice moved to Newton, Iowa in 2016 to be close to family. She was preceded in death by her husband; parents; and sister, Frances Ann Schulz. She is survived by her daughter and son-in-law, Jayne and David Goos and grandchildren, Bryan (Anna) and Stephanie Goos.